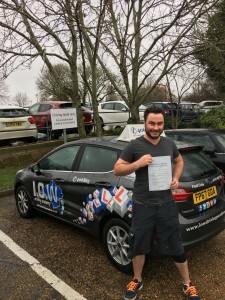 James Blackwood passes with the IOWDA. 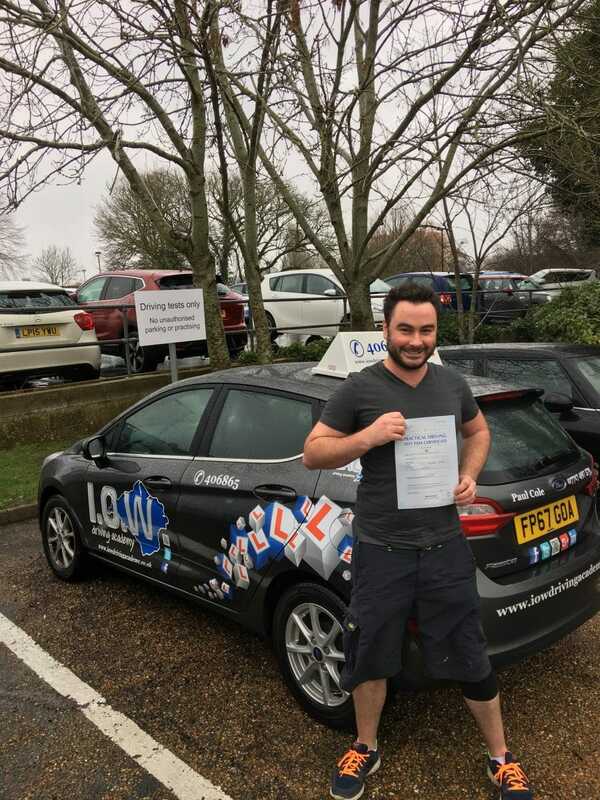 Congratulations to James for passing his driving test today, Weds 14th February 2018 with only 3 driver faults. Well James, what can I say…. you did it and you deserved this great pass today. You drove very well and kept those nerves under control even if your insulin levels were at an all time high. You dealt with the heavy traffic conditions and poor weather in a very safe manner. Well Done and best wishes for the future, Paul. Thank you also for your generous gift, I will enjoy having a Gin or two at the weekend.